From the north to Virginia and Tennessee. 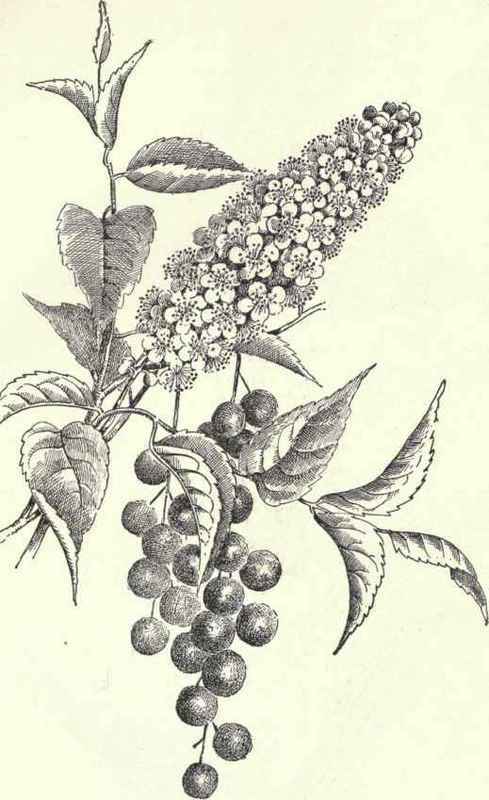 Flowers: small; growing in a raceme. Calyx: five-lobed; hairy. Corolla: salver-shaped; five-cleft. Stamens: five; included. Pistil: one; slender. Leaves: alternate; oblong; sessile; hairy. Stem: leafy; slender. Perhaps the prettiest legend about the little forget-me-not is that of the Persians. One day an angel that had fallen from grace stood weeping outside the door of Paradise. His fault had been that he loved a daughter of earth as she sat by the bank of a stream arranging forget-me-nots in her hair; and not until she whom he loved had sown the blossoms all over the earth, could his fault be forgiven. He returned to her, and together they went planting the flowers; nor did they cease their labour until the task was accomplished. Then they entered Paradise; the woman not tasting of death.